Our Little Family: Happy Mother's Day! Mother's Day is never complete without thanking the person who made it possible for me to be a mother. THANK YOU Mommy Kim! You are as much a mother to Bryson as I am. 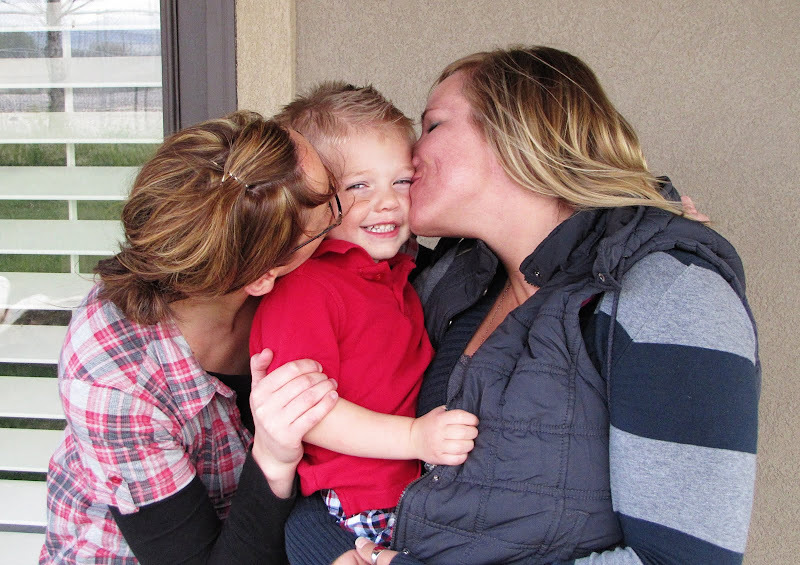 Bryson is so lucky to have two mother's to call his own. The song on the video below is one of my favorite adoption songs and makes me cry every time I hear it. It's a song from a son who was placed for adoption to his birth mother to thank her for the choice she made. You can find it on the adoption CD Chosen. Mommy Kim, although Bryson is too young right now to fully understand, I know he will some day thank you in the same way Mike and I thank you now. Happy Mother's Day Mommy Kim! We love you!